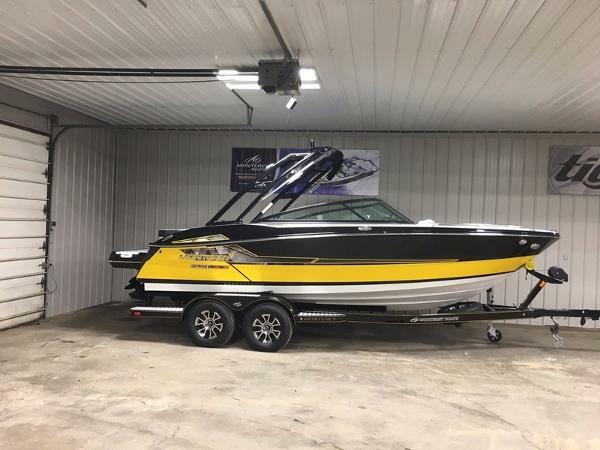 2017 Monterey 218SS 2017 Monterey 218SS JUST ARRIVED AND READY FOR SPRING! 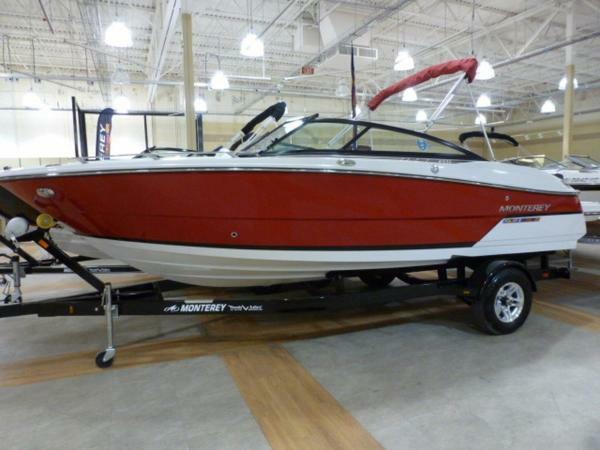 Powerboats - 218SS Super SportWhen you hear the term Super Sport, you are immediately brought back to the days of the American Muscle car. Camaros, Chevelles, GTOs. 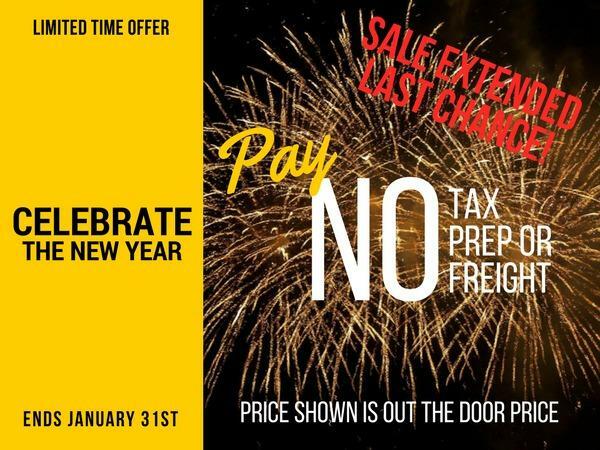 Fast, Flashy, and the latest features. 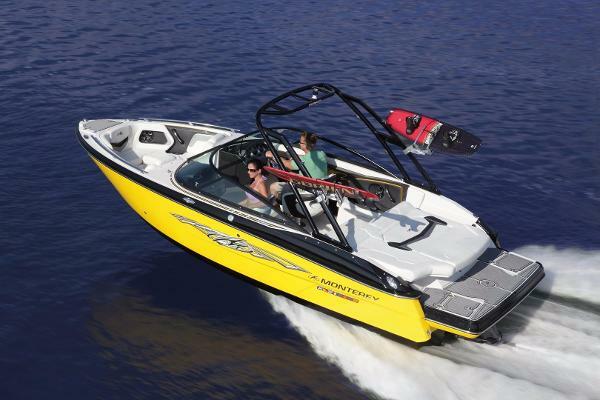 The Monterey Super Sports powerboats relive that era.on the water. 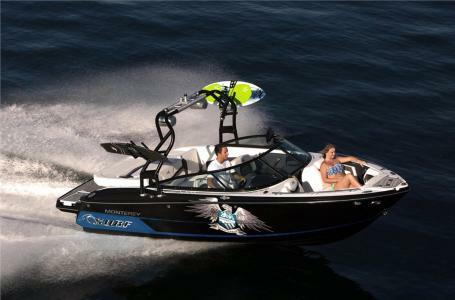 With the sensational success of our largest Super Sport, the 328, we gathered the best attributes of that beauty, and designed an entire line of boats. 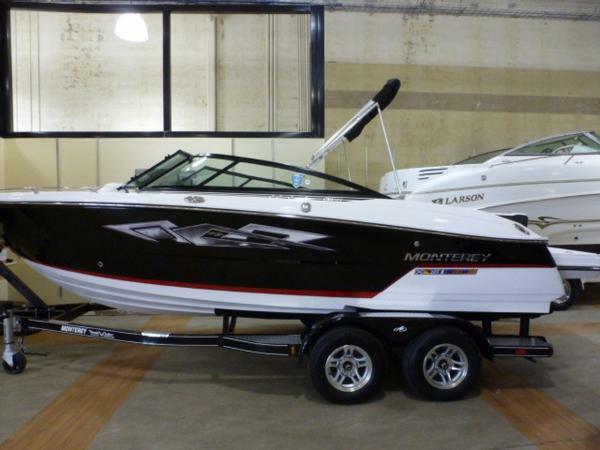 At 21 feet in length, she may be the smallest of the Super Sports, but dont let her size deceive you. This is one mean machine! 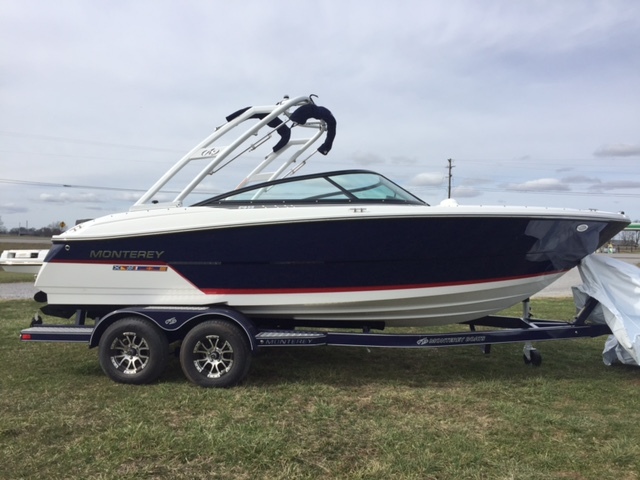 2017 Monterey 218SS 2017 Monterey 218SS powered by a Mercruiser 4.5L 250hp with a Bravo III Drive. 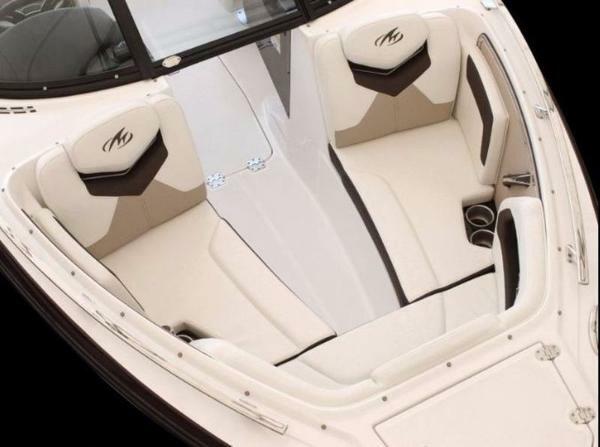 Featuring an Onyx Deck Stripe, Onyx and Sunburst Hull Stripes, and Arctic Ice Hull Bottom, complimented with Grey SeaDek on the swim platform and throughout the cockpit. 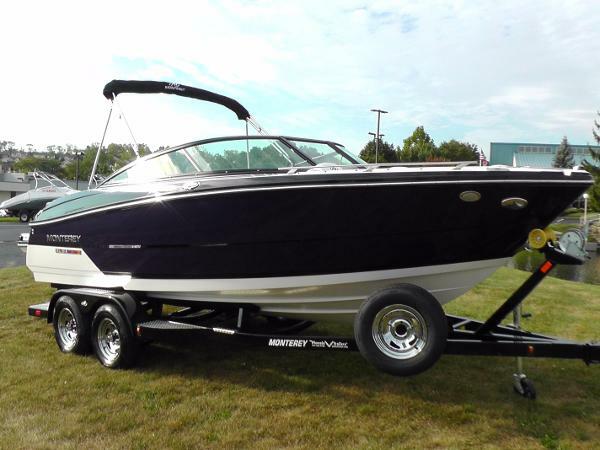 Additional Features Include: Wakeboard Tower w/ Bimini, Bow and Cockpit Covers, Stainless Steel Package( SS Pull up cleats, SS Bow Plate, Bow Hand Rails, Bow Ladder and Docking Lights), Depth Sounder, Helm and Stereo Remotes, and Portside Forward/Aft Facing Lounger. She rides on a custom painted Tandem Axle Phoenix Trailer with Chrome Wheels, Matching Spare, Swing Away Tongue, and Disc Brakes, and Vault Bearings. 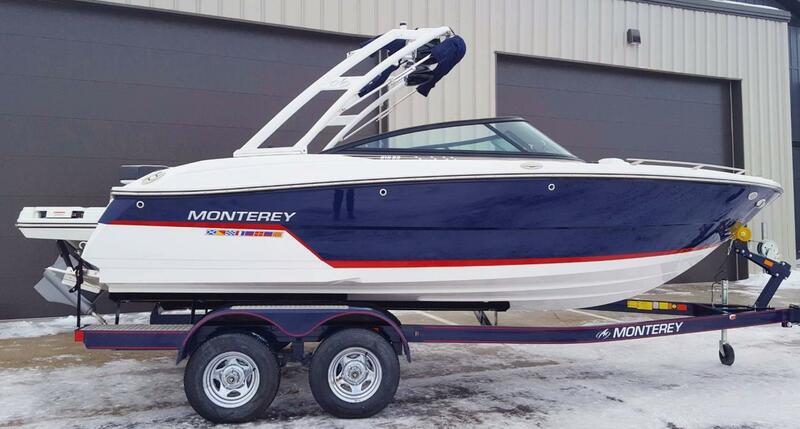 2016 Monterey 218SS 2016 Monterey 218SS powered by a Mercruiser 4.5L 250hp with a Bravo III Drive. 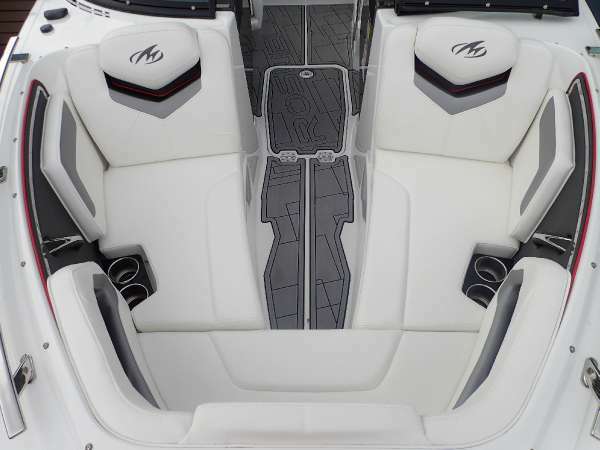 Featuring an Onyx Deck Stripe, Sapphire Hull Side, Onyx Accent Stripe, and Arctic Ice Hull Bottom, complimented with Grey SeaDek on the swim platform and throughout the cockpit. 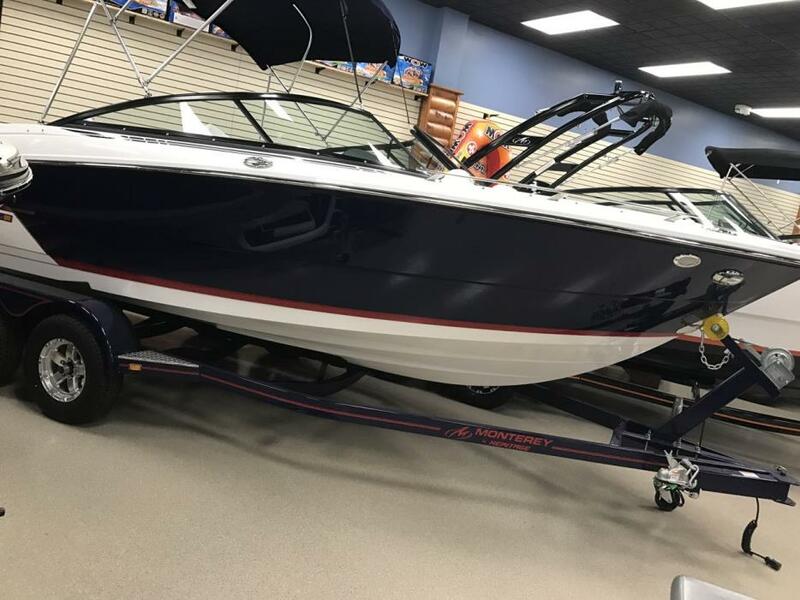 Additional Features Include: Bow and Cockpit Covers, Stainless Steel Package( SS Pull up cleats, SS Bow Plate, Bow Hand Rails, Bow Ladder and Docking Lights), Depth Sounder, Helm and Stereo Remotes. She rides on a custom painted Tandem Axle Phoenix Trailer with Chrome Wheels, Matching Spare, Swing Away Tongue, and Disc Brakes.